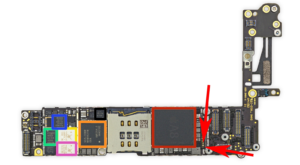 How to fix iPhone 6 dead, Short circuit. iPhone 6 have this problem very common that three register next to back light go short for no reason. we have attached image bellow that can be follow for an help. If you have a broken, cracked or shattered iPhone screen. iPhone & iPad Repairs Brisbane. Did you know studies show that one-quarter of all iPhone phones has a damaged screen? 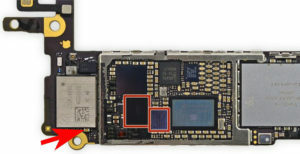 Common issue is iPhone repairs Brisbane . In fact, a broken screen is one of the most common iPhone issues with is caused by drop and the average user puts up with a broken screen for a half year before upgrading to a new iPhone But why spend money on a brand-new device when you could fix your iPhone screen for just a fraction of the cost and most of repair done within 1 hour and we back our repair with 6 months warranty.